LG Heat Recovery Ventilation (ERV) has an extensive range and 80% Total Energy Efficient Systems. 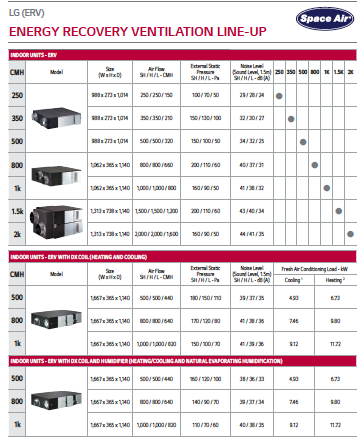 The range consists of 7 models ranges from 250 m3/hr (69 L/s) to 2000 m3/hr (555 L/s). 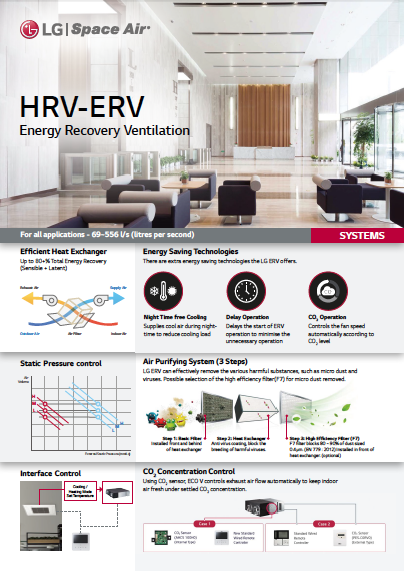 ERV also available in 3 models with DX Heating & Cooling coil and 3 models with DX & Humidifier Connectable with VRF Systems. All LG products are EUROVENT Certified. 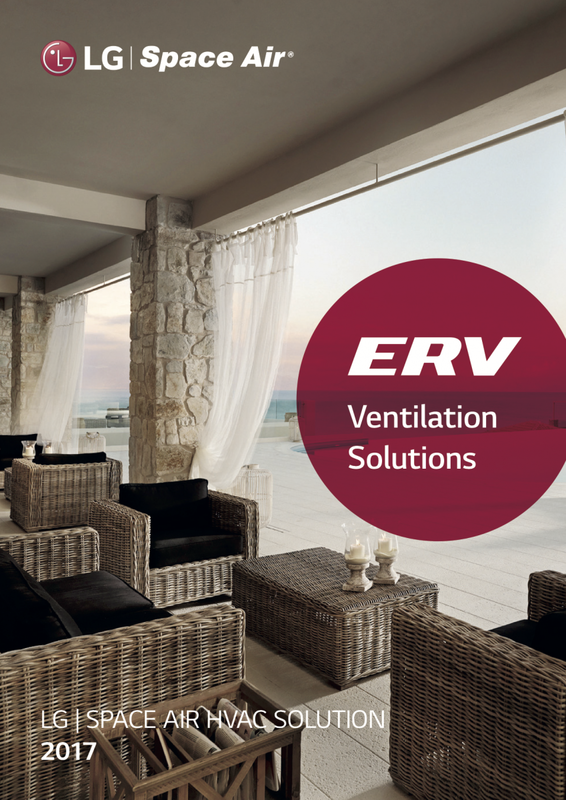 ERV can effectively remove various harmful substances, such as micro dust and viruses through 3 air purifying steps. First, basic filter which is installed front and behind of heat exchanger filters out harmful substances. Then, heat exchanger equipped with antivirus coating blocks the breeding of harmful viruses. In addition, high efficiency filter (F7) installed in front of heat exchanger, the optional filter, blocks 80-90% of dust sized 0.4μm can remove micro dust. 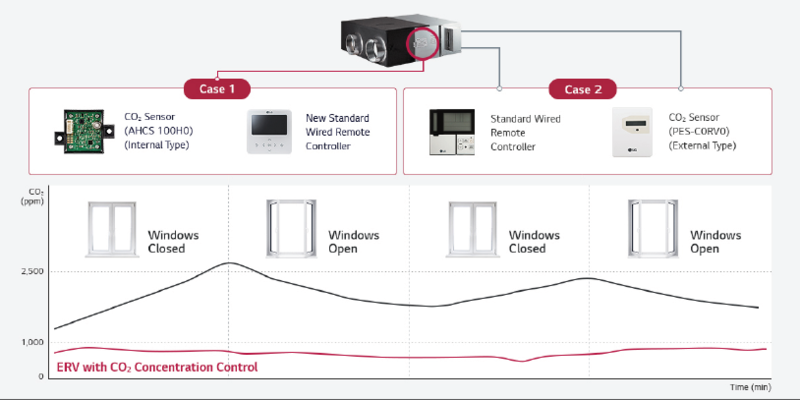 ERV CO2 control can be achived via Built-In (internal) for overall control printed circuit board or External Sensor for specific area within the system e.g. conference rooms or variable occupancy areas.